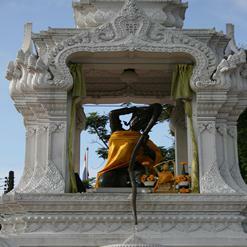 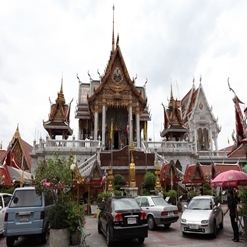 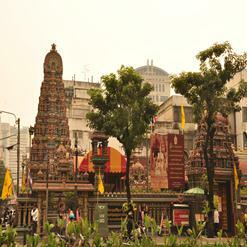 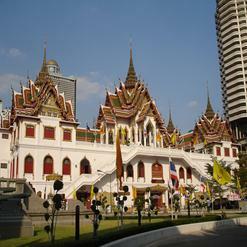 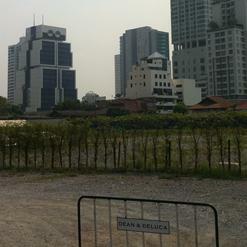 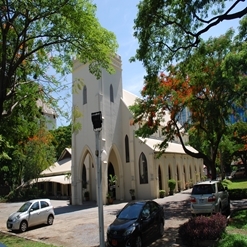 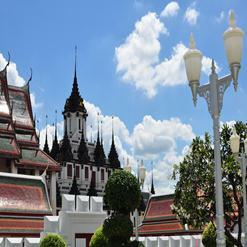 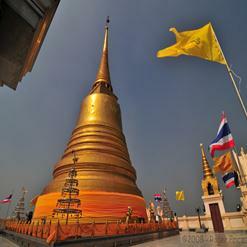 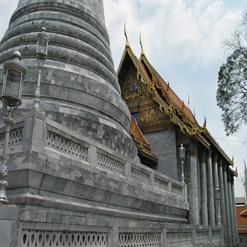 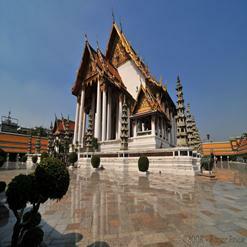 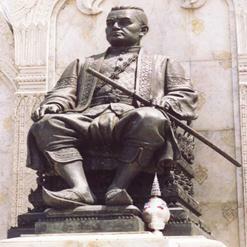 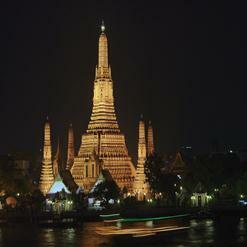 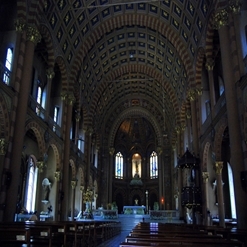 The temple was built in 1836, during the reign of King Rama III. 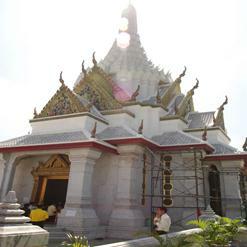 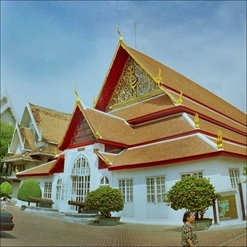 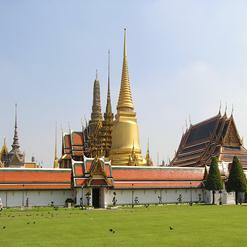 Like other temples from the third reign, it has a Thai layout, but is combined with a mixture of Chinese architectural styles. 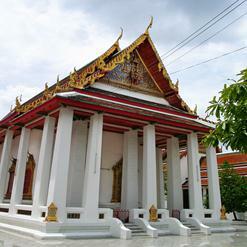 The gables are decorated with Chinese porcelain pieces and there are Chinese statues all over the complex.